I love these screenprinted fabric trimming from the Australian company Umbrellaprints, I ordered them to join their yearly competiotion ( read here how to enter). 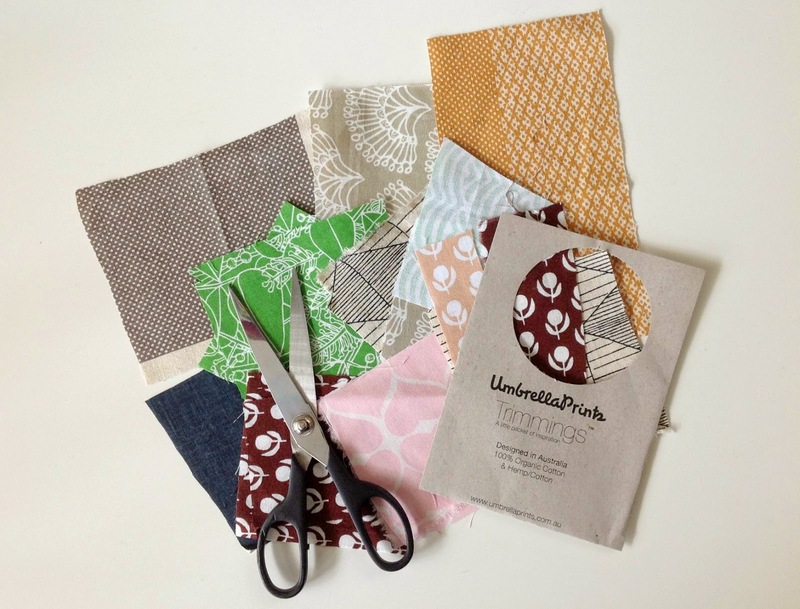 The challange is to create something with this package of little pieces of their printed fabric. I love all the diffrent colours and prints that the package contained, the pieces are quite small and perfect to make small projects like doll clothes and accesories. Above you can see what I made with all the fabrics. What I liked about this challange was using every single bit of fabric that the package contained! Your little clothes are adorable! 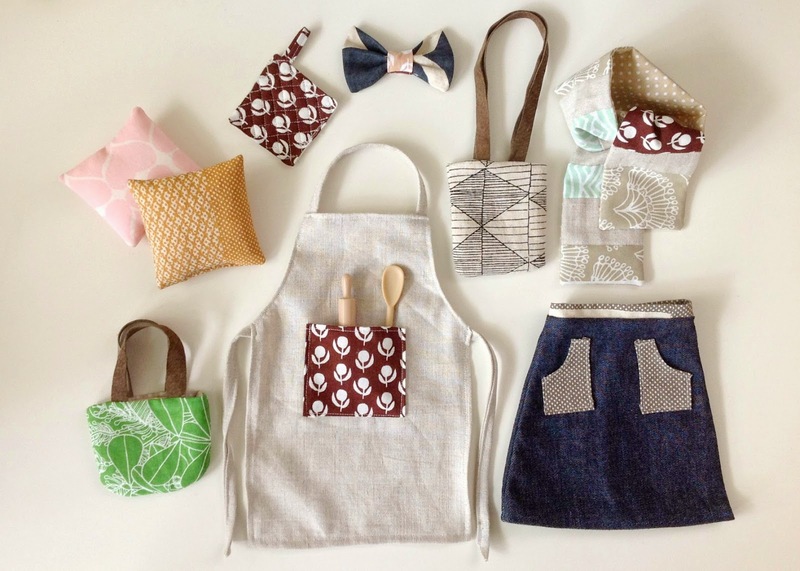 They look fantastic, especially that gorgeous apron! I'm still trying to decide what to make with my trimmings, I was so eager to get them, I had all these plans then I received them they are all different weight fabrics - so my plans went out the window! Wonderfully done. Your Frida dolls have become my fave baby girl gift. Love your designs.